Early morning in parks in China, one can find old masters teaching kung fu and qigong. To learn, the requirements could simply be diligence, a bit of humility and getting to the park at 5 am in the morning. 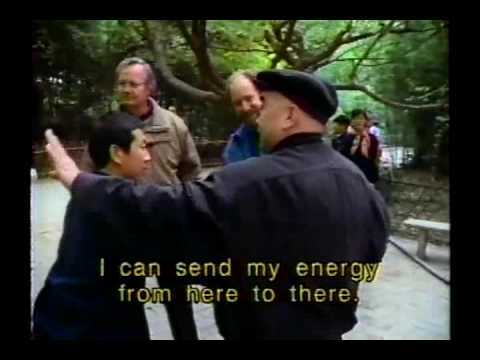 In this clip filmed in 1993, American journalist Bill Moyers catches up with Master Shi Ming (Master Shr) at the Purple Bamboo Park in Beijing. In it, Master Shi Ming demonstrates Empty Force (Ling Kong Jin), where he is seemingly able to physically manipulate his students by just lightly touching them.